Get a handle on bathroom safety with this bathtub and shower handle. This easy to install grip gives both parent and child steady confidence in and around the tub. Toddlers can enter a wet and slippery tub safely. Simply press the tab levers to securely attach. Can be used on shower walls too! Easy to install and remove ... just flip the tabs! 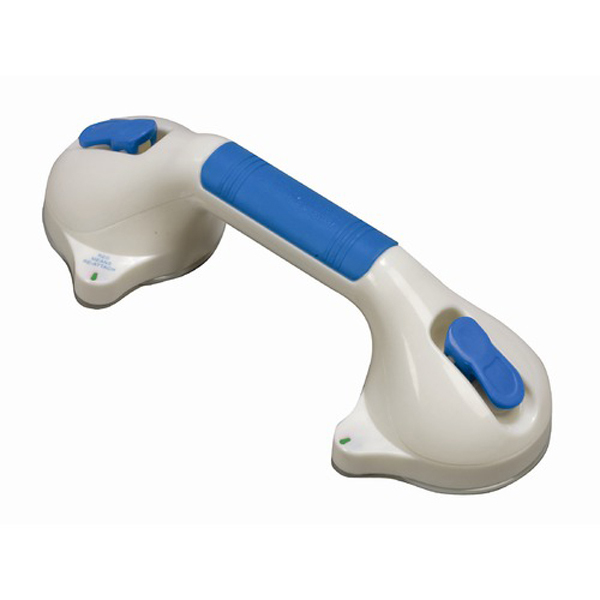 The portable suction grab bar is easy to install, no tools needed, no hole to drill. The large Permanent Handle attachs to virtually any smooth non-porous surface. This bar are great for assistance in or around the tub, or next to the toilet. Mount on the wall for help on the stairs; next to a chair for assistance standing or sitting.